Happy Hump Day Team Stryker fans! 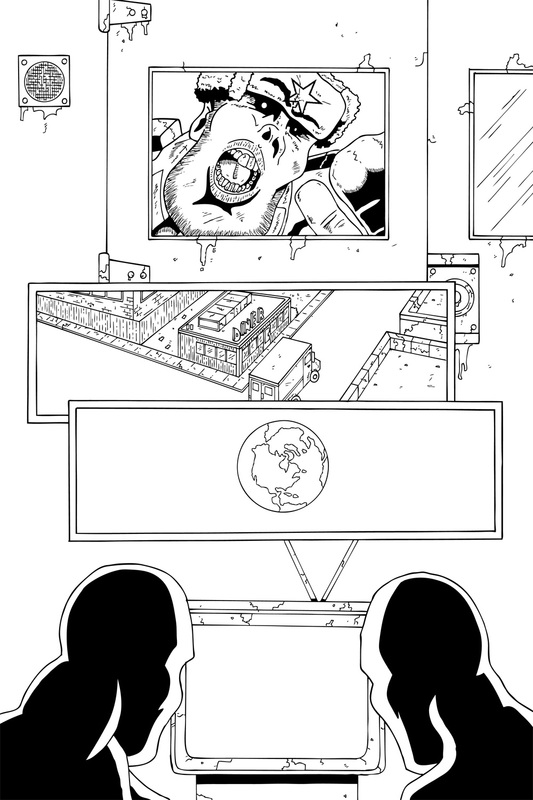 Today is your look a the behind the scenes to the last page of Mission 005. I wasn’t quite sure what the creatures on the moon were going to look like so I made them generic so that when I do introduce them (see Mission 006 when it comes out) I would have some freedom in their design. I wanted them to feel dark and intimidating even from the moon. Have a great rest of the work week and I’ll see you all back here on Friday to see the final pencils to Mission 005!